Dr. William Sheehan is a military historian, and the author of British Voices from the Irish War of Independence (2005), Fighting for Dublin (2007) and Hearts and Mines: the British 5th Division in Ireland (2009), A Hard Local War: The British Army and the Guerrilla War in Cork, 1919 -1921 (2011) and The Western Front: Irish Voices from the Great War (2011). He is a Fellow of the Royal Historical Society and the Higher Education Academy. 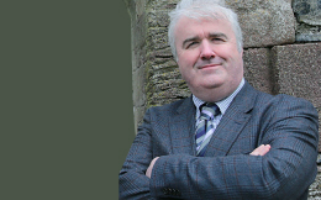 He has lectured in Griffith College Cork, UCC, Maynooth University and with the Open University. He is a member of the Ferguson Centre for African and Asian Studies at the Open University. He is currently working with the Gleneagle Hotel group to develop a third level institution in Killarney dedicated to the hotel industry.